We often detect when someone is slighting us or trying to make us look bad, and respond to it in kind. ‘Gee, don’t get so defensive’ or a comment in a similar vein. Now, maybe you are being unnecessarily defensive. But in many cases, you may be justifiably sticking up for yourself. The other person doesn’t take well to the shift in the balance, realises they have a fight on their hands, and tries to put you back in your box with that old card, ‘make them look loopy’. It’s a classic interaction trick to destabilise someone, and it often works. 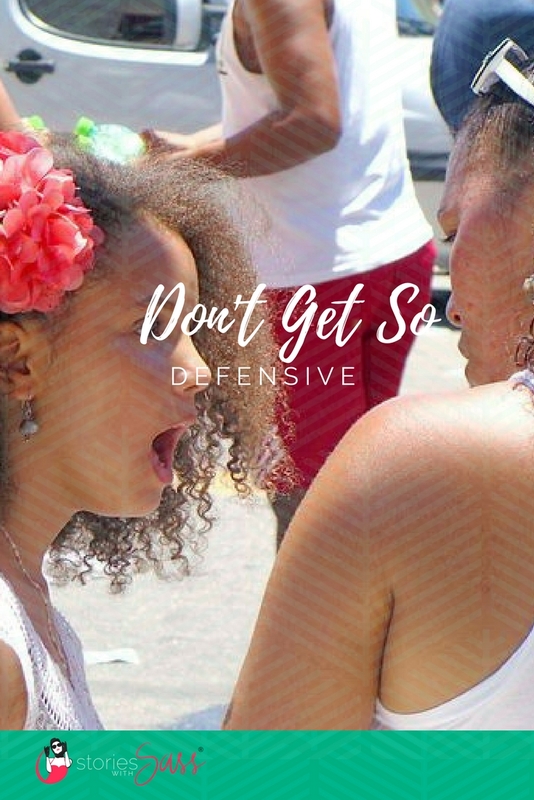 When it does, you might respond with ‘I’m not being defensive,’ and you end up getting side tracked, just the way the other person intended you to. It sounds sinister and like a lot of effort goes into it, but these thought processes happen so quickly you don’t even realise it’s happening. But my gauge in these situations is that if you feel like you’re being slighted, you probably are. And it’s perfectly legitimate to address that. I get that it’s a hard thing to do, so next time someone hits you with the old ‘stop being defensive’ line, try something like this. Raise an eyebrow and hold their gaze for a few seconds. Good. They know that you know exactly what they were trying to do. Then you can address it, in a calm fashion, or you can change the topic, knowing you’ve sent a warning shot over their bows. An approach like this is confident, a little funny, and is a way of shifting the interaction in a different direction – one that is in your favour. You will have the power back, and not be dancing to the tune of the other person.